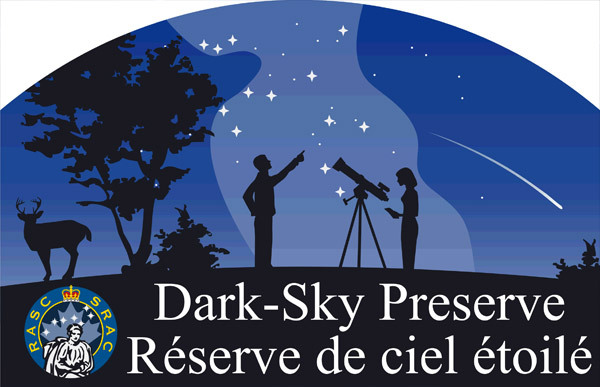 Recently certified as a Canadian Dark Sky Preserve, the enchanting Au Diable Vert site allows you to discover the canopy of stars. Located in Glen Sutton, come discover a novel and intriguing world through this innovative activity, that combines the technology of several cutting-edge companies from around the globe. 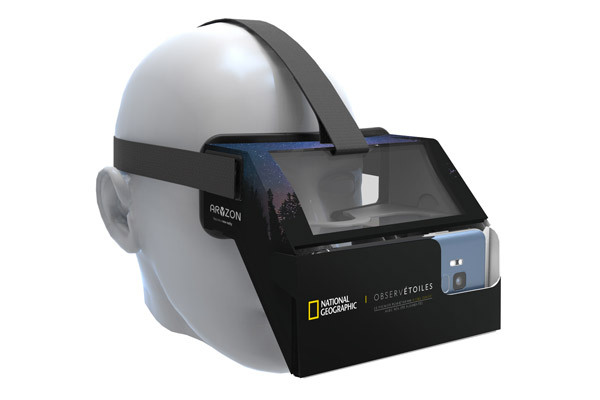 Every guest will receive a newly developed augmented reality headset created by Aryzon in the Netherlands, which will allow them to see the actual night sky, with a digital overlay of the constellations and the names of stars and planets. This headset is yours to keep and take home after the show, so you can continue to enjoy your starry discoveries with your own smartphone. The minimum age limit to attend the show is 6 years old. 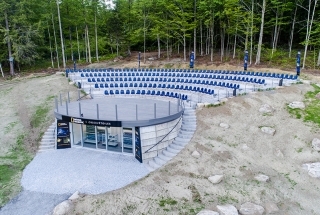 Cradled in heated stadium seats, and perched at over 1,000 feet of altitude, this open air spectacle takes place in a multilevel mountain side amphitheater in Quebec’s newest Dark Sky Preserve at Au Diable Vert in Sutton, Quebec. Narrated by talented astronomers, each night’s presentation is tailored to the ever changing beauty of space. And best of all, at the end of each show, this pioneering headset is yours to keep, allowing you to continue to be amazed by nature’s greatest show! 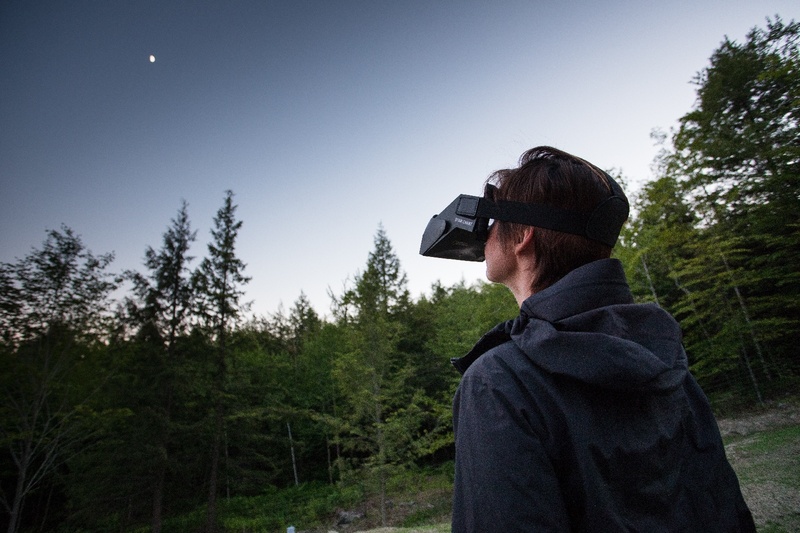 Come to the enchanting Au Diable Vert Mountain Station, in Glen Sutton, to discover a novel and intriguing world through this innovative activity, that combines the technology of several cutting-edge companies from around the globe. Going to Glen Sutton to stargaze has never been so exciting! Be part of the 180 guests who will be seated in a multilevel mountain side amphitheater, specially designed for ObservEtoiles at over 1,000 feet of altitude, to unlock the mysteries of stars. 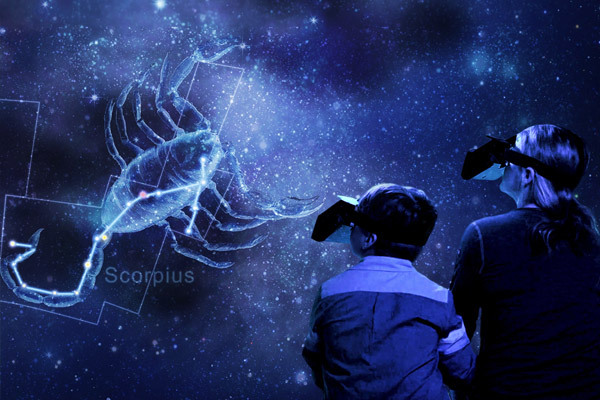 Visit our outdoor planetarium and embark on a unique worldwide experience of the night sky with OBSERVÉTOILES! Both young and old will be impressed! 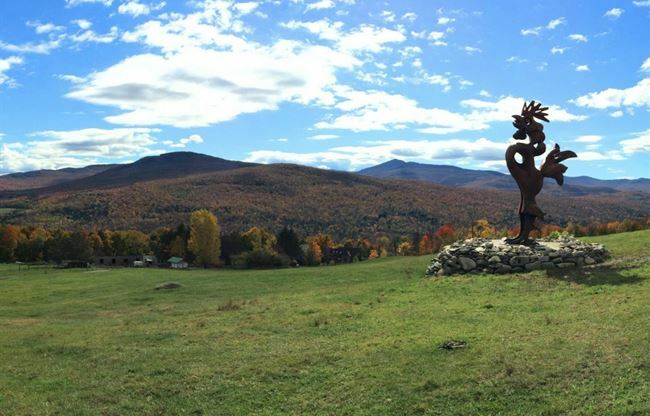 Combine your tour through the sky with a stay in one of Au Diable Vert mountain view suites, rustic cabins or tree houses and enjoy some of the other activities like kayaking or VeloVolant.